Most of us have lost a horse. 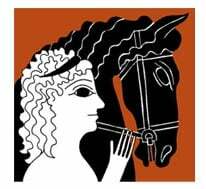 The circumstances vary but the result is the same, our precious horse is gone. At first memories are difficult but with time they evolve into treasures that bring both smiles and tears of joy. It’s never easy to lose a horse perhaps made worse only when we lose the LAST horse. 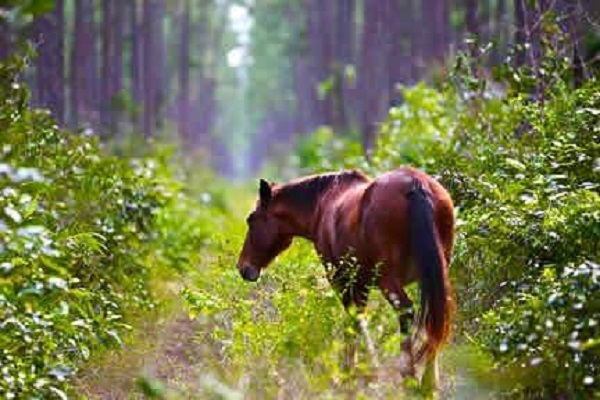 In 2015 a mare named Nunki, the last Abaco Island Horse, died in a Bahamian forest. 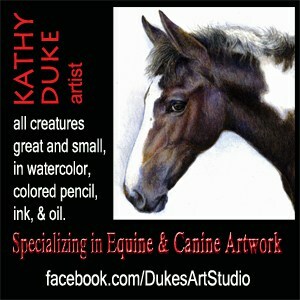 The horses were brought to Great Abaco Island in the 1800’s to remove logs from the pine forest. They were later abandoned when tractors were introduced. Since, they have lived in paradise with ample forage, water and a dense pine forest for cover. The horses have survived for decades in relative isolation. 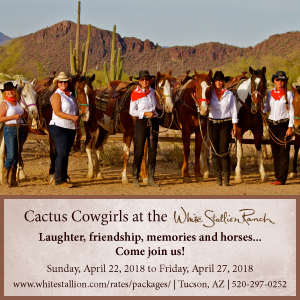 Their isolation intrigued one particular woman, Milanne Rehor, President and Field Director of Arkwild, Inc., a not for profit U.S. corporation that works to save small endangered populations of animals. 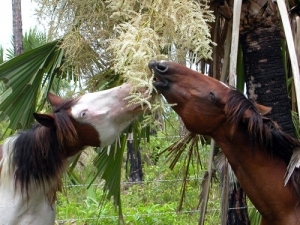 Rehor moved to the Bahamas in 1992 and embarked on a mission to identify these horses and secure their survival. 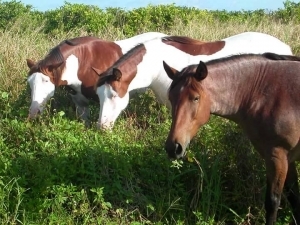 The Abaco Island Horse was recognized as a distinct breed in 2002 after a decade of data collection and research that cataloged the horses’ distinct phenotype. UCLA, the University of Kentucky, IMD in Germany and the Horse of Americas Registry all reached the same conclusion. Spanish. The island horses were irrefutably Columbian era Spanish descendants. To boot, they carry a unique coloration, splash white, and are the purist strain of direct descendants in the world. Genetic jackpot! The band of about 200 horses thrived on the island until the 1960’s. A road opened the pine forest to boar hunters who shot whatever their dogs chased out of the woods, pigs or horses. 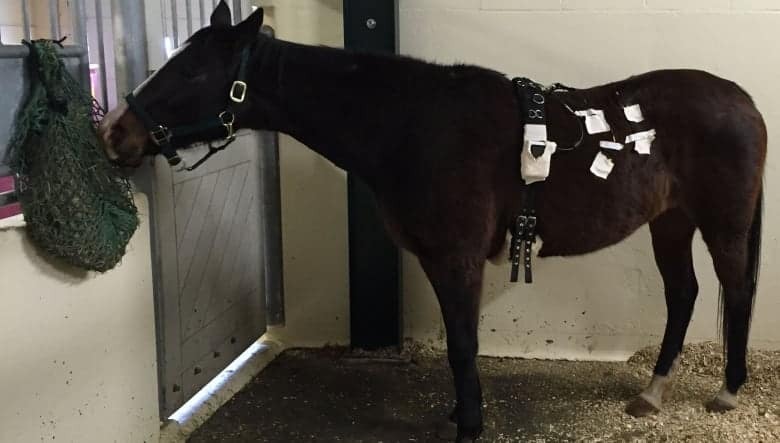 The herd was virtually eradicated after a young child was killed attempting to ride one. 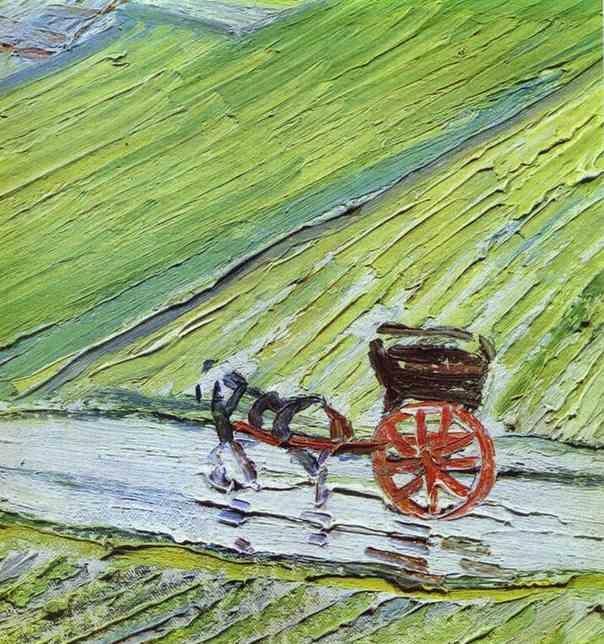 The child kicked the horse who bolted dragging the child to her death. In retribution islanders killed all but 3 horses. By the early 90’s the herd had rebound to a tepid 35 individuals then Hurricane Floyd took its toll. In 1999, the storms fury decimated the island’s vegetation. The horses migrated to a citrus farm ingesting a diet of pesticide riddled toxins that accumulated in their bodies. After 1999 no live foals were born. The Abaco Island herd declined steadily, marked extinct upon Nunki’s death. When Nunki died, Rehor, had the foresight to collect tissue that was sent to a cloning laboratory. Recently the Bahamian government granted Rehor permission to use Nunki’s DNA to produce a clone. 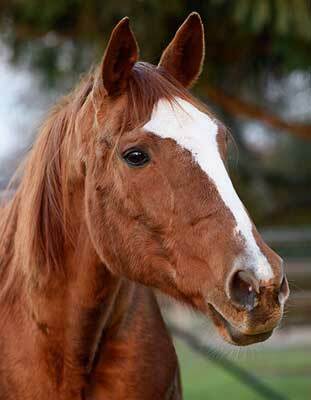 It will be impossible for the Abaco Island Horse to return as there is only one genetic source for cloning. However, the breed’s old world, genetic structure has tremendous value for other feral horses with limited genetic bases. Nunki’s DNA may be introduced into faltering breeds offering them a genetically stronger chance for survival. Nunki may become the genesis for breeds that might otherwise follow her path to extinction. And that’s a pretty cool epitaph. 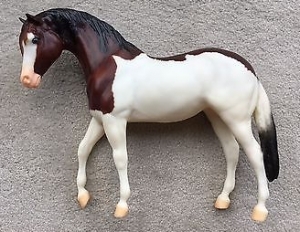 In 2004, Breyer Horses introduced Capella, an Abaco Barb model #1280 named after one of the last surviving stallions. 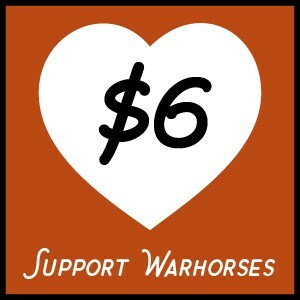 A portion of sales helped fund the Wild Horses of Abaco Preservation Society (WHOA). Be sure to read WARHorse’s next post about the Abaco Island Horses, “She is Determined to Bring These Horses Back from the Dead”. 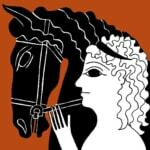 WARHorse’s introduces Milanne Rehor, Field Director for ArkWild, Inc and her life’s work and dedication to returning the extinct Wild Abaco Island Horse. The Bahamian government has approved plans and work is underway to establish a permanent home and Nunki’s DNA waits.